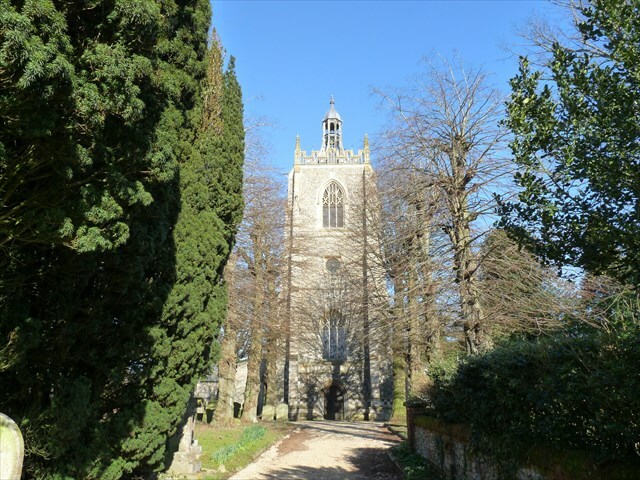 Necton church is a very large church just off the A47 and has parking nearby. The church was built between the 14th and 19th centuries. There is a clock face on the tower of the church. The entrance to the church is by the west door, and the tower forms the porch. In 1490 the nave was reconstructed and an oak and chestnut hammer-beam roof was built. Both aisles have decorated period windows. In 1865 the west gallery was made to fit the tower and is decorated with figures playing musical instruments. There is a Jacobean Communion Table which was donated by the Mason family. Also a Jacobean Pulpit within the church. The church had a medieval font which is now in the porch.